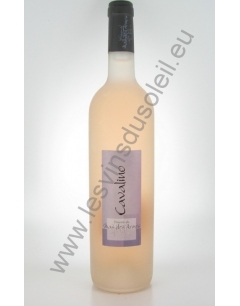 Domaine Cazes Le Canon du Maréchal Rosé 2018. 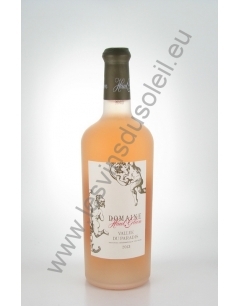 Vin de Pays Rosé. 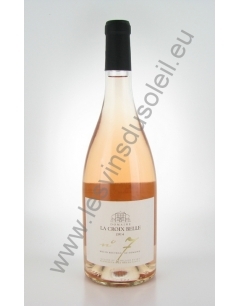 A crisp rosé with aromas of berries. Grape varieties : 50% syrah, 50% mourvèdre. Maturing wine : Mise en bouteille dans les 6 mois suivant la récolte et conservation en cave climatisée à 15°C. Cultivation method : Agriculture Biologique. Suggesties / Food pairing : Charcuteries, grillades, légumes confits. Soils : Argilo-calcaire, avec des galets roulés issus des contreforts des Corbières. Winemaking : Vendange mécanique la nuit. Macération pelliculaire de 24 heures à basse température. Pressurage. Débourbage et fermentation à 18°C. Since 1895, in the heart of Roussillon near Rivesaltes, between the Pyrenees and the Mediterranean, Domaine Cazes has 220 hectares that give birth each year to 14 vins different. Wines, Côtes du Roussillon and Côtes du Roussillon Villages, Rivesaltes and Muscat de Rivesaltes, diversification caused by the desire to learn and try new things on the multiplicity of territories of the region. The same attention, combining scholarly expertise and technology, presides over harvest that last for two months and the development of the wines of the range requiring nearly 12 different vinification. Wine merchants and oenologists then participate in the selection of connections that determine the quality of Domaine Cazes. Since 1997, Domaine Cazes has opted for a new mode of culture with the gradual conversion of vineyard in Organic and Bio-dynamic farming. Since 2005, the entire vineyard is converted. 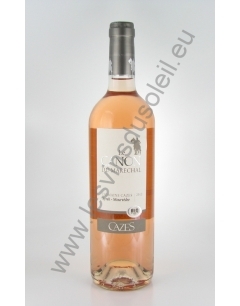 Situated between the Pyrenees and the Mediterranean, in Rivesaltes, in the heart of Roussillon, the Domaine Cazes was created in 1895 by Michel Cazes .As most farmers of his generation, he cultivated the vine to provide raw material to local trading. In 1927, his son, Aimé, convinced him to buy Mas Joffre, former property of the famous Marshal, a child of thought and hero of the First World War. The acquisition of this "small" 8-hectare vineyard was part of the history of Domaine Cazes. Over the years, the farm got rich neighboring parcels to 40 hectares in the 50s The first bottles of Domaine Cazes appeared in 1955 under the leadership of Andrew, the eldest son of two Aimé . In 1971, Bernard, the youngest, came from the Faculty of Bordeaux where he learned modern vinification techniques in contact with teachers and Pascal Emile Peynaud Ribéreau-Gayon. His entry in the family business proved decisive for the future, André is responsible for sales management and Bernard, operations which already had 60 hectares. Today, Emmanuel Cazes, son of Bernard, took over the management of vinification, under the direction of Lionel Lavail.